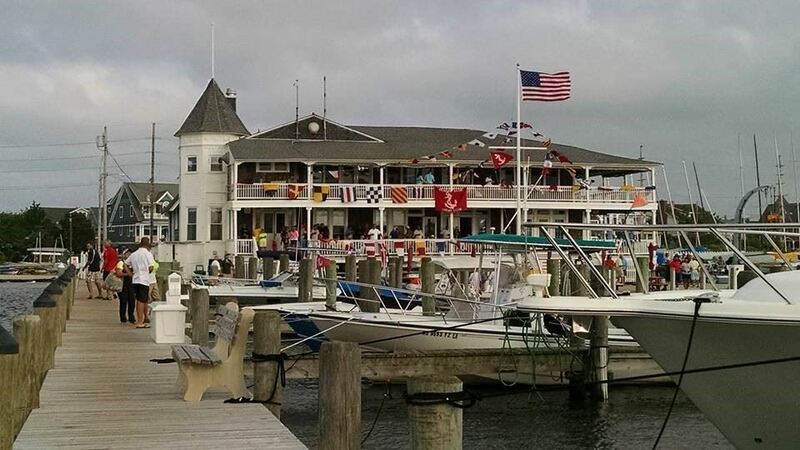 Welcome back to Barnegat Bay for our 7th National Regatta. Registration Closes on August 1, 2018! 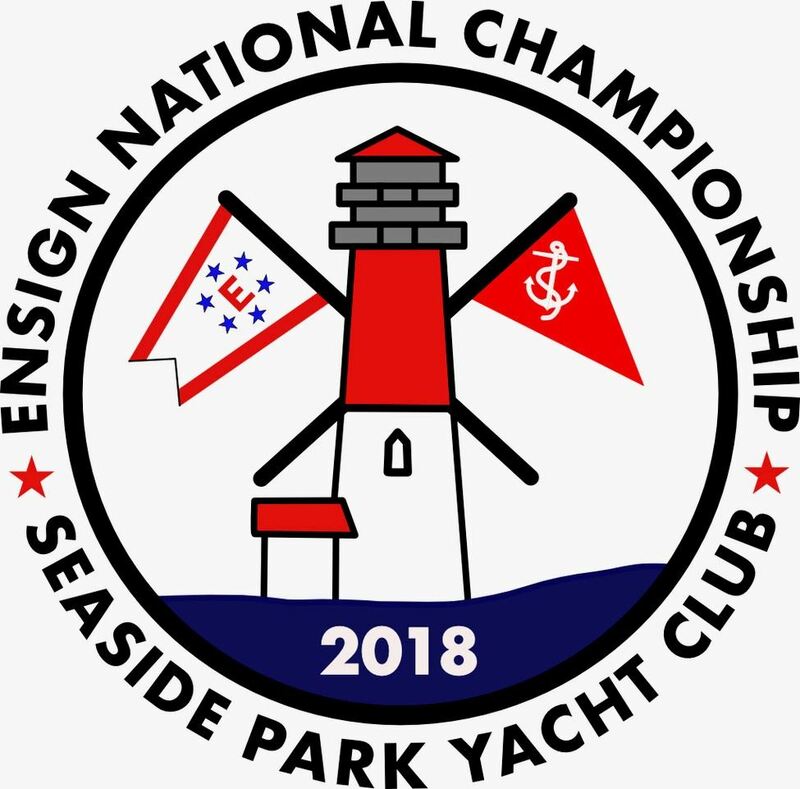 Images from the event areposted on the nautical photography website and you may download, without charge, images for your electronic devices. If you desire a high resolution file, contact Art at: apetrose@icloud.com or 908-770-5507. Photos from the Nationals are published here. 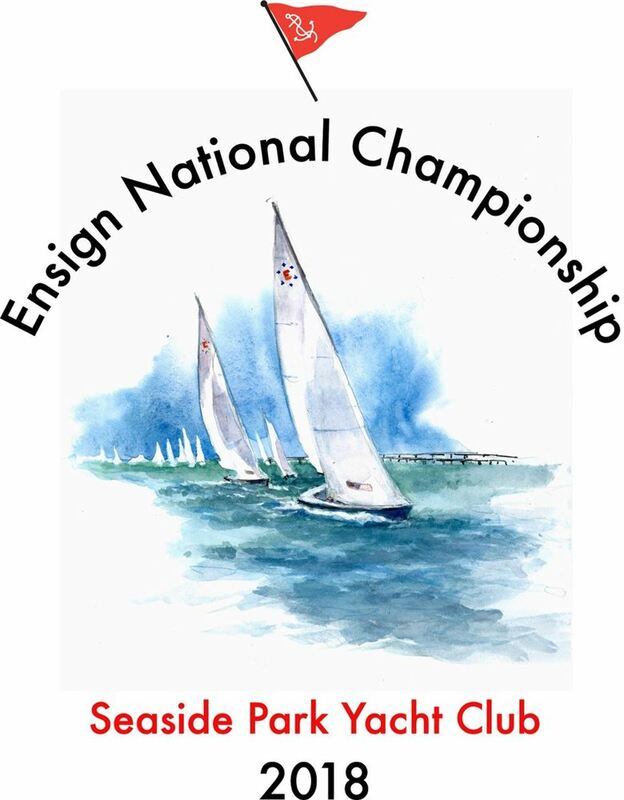 Racing will be directly in front of SPYC and spectators can watch the races from the Club upper deck. This is a summer resort area so please arrange housing early. For hotels and motels, please see our housing page. Whether or not you are sailing in the regatta you will be able to order hats and three types of shirts through the registration process. The logos on the hats and shirts are shown below. All hats and shirts must be ordered by August 1.
and on the left chest of the T-shirts and Tech shirts. Printed on the back of the T-shirts and Tech shirts. All people sailing in the regatta will be required to sign a Disclaimer of Liability. If you are a Contestant or Crew. Click here to fill in and sign the Disclaimer. A set of instructions have been created to guide you through the online registration process. Click here for the online registration instructions.